I've been organizing, painting, creating, and, listing. I literally have a huge bowl of vintage prisms. 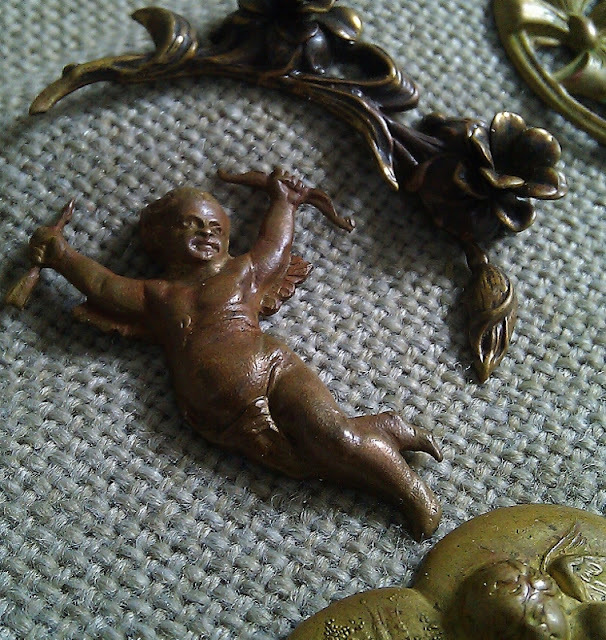 I also have tons of salvaged vintage metal. 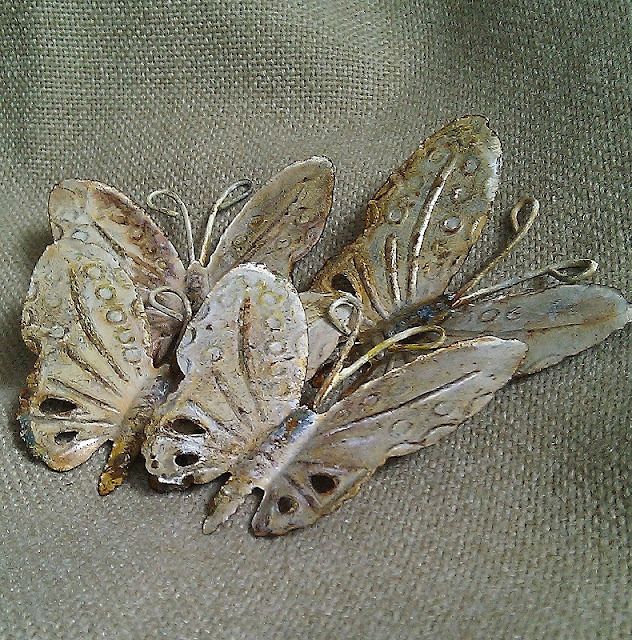 This next piece is an assemblage I created. 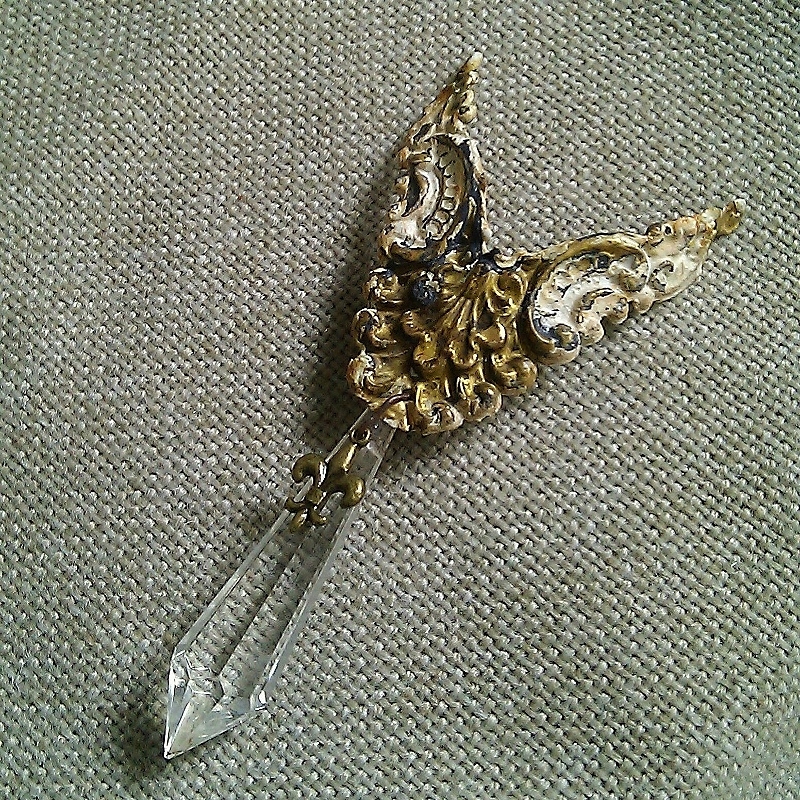 I gave the metal that weathered finish. 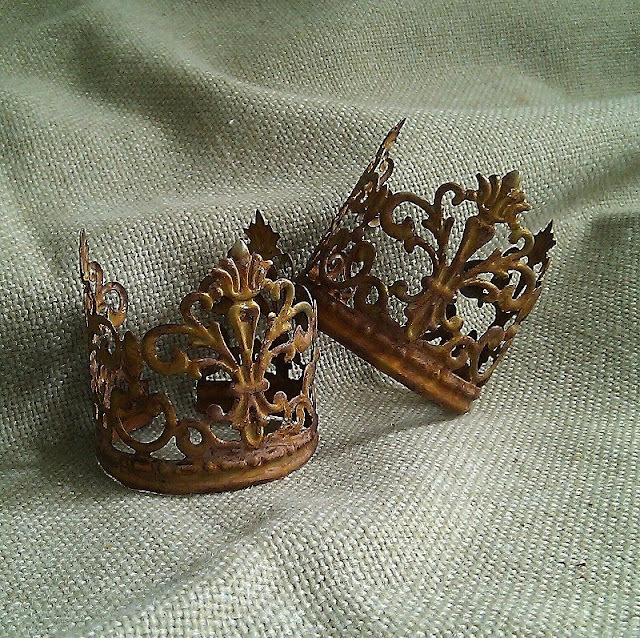 I've been making some of my salvaged metal crowns as well. Some of my long term readers may remember when I started making these years ago HERE. If you'd like to see some of my older pieces, you can check them out by clicking HERE, HERE, and, HERE. I can't tell you how many I've made. A LOT. 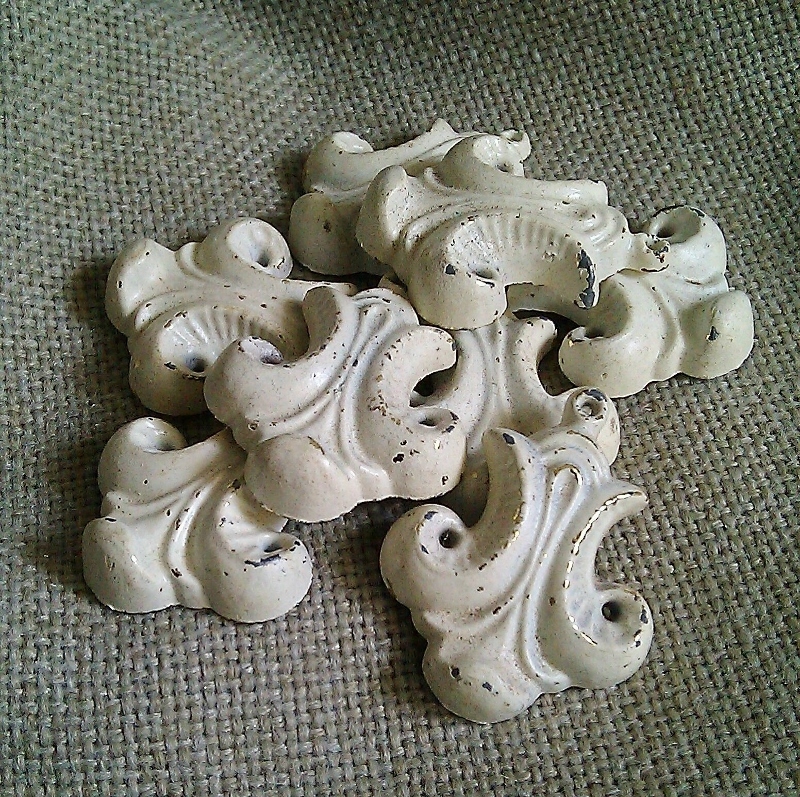 I rescued these from a broken chandelier. I going to give someone else the opportunity to do something creative with them. 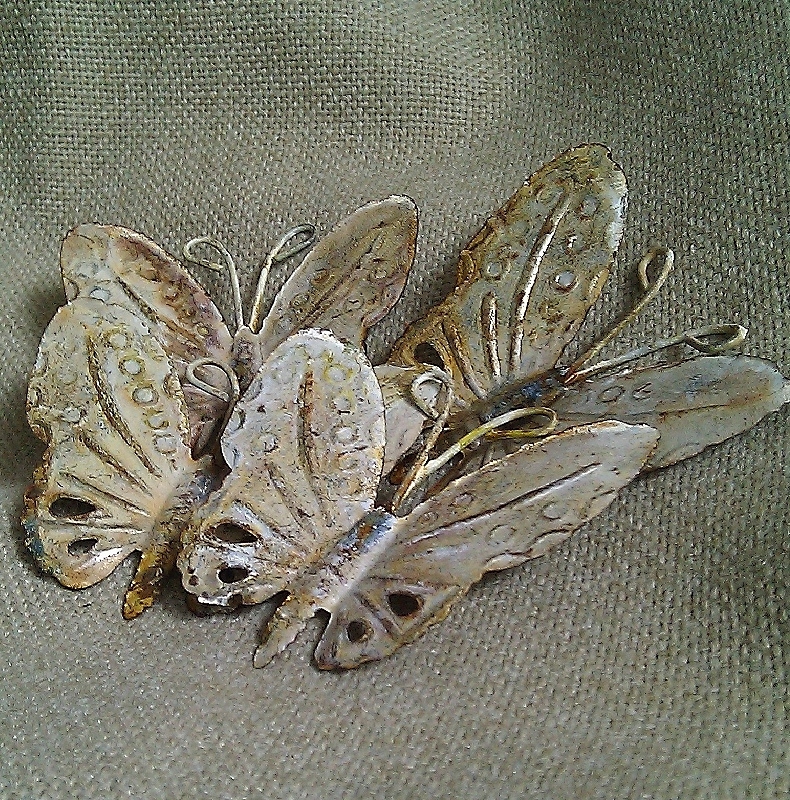 A grouping of appliques have been listed as well. 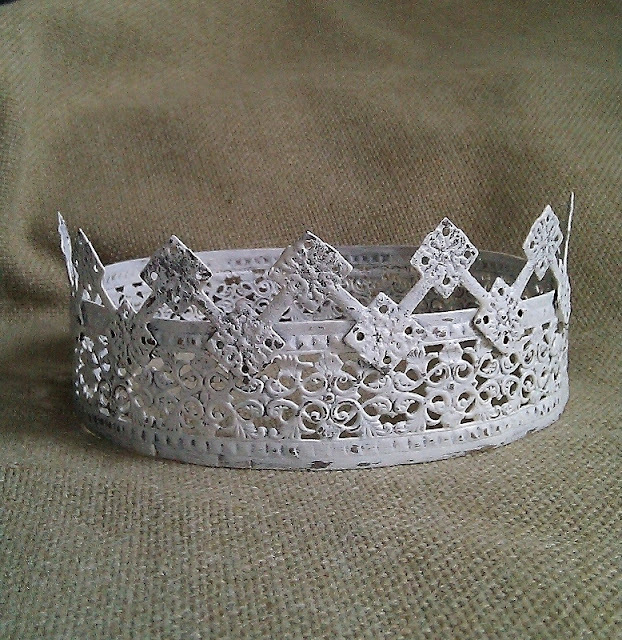 You can visit my Etsy shop HERE. Hi Rosemary, I just love all of your lovely treasures and charms. You have such an eye for how the derailed parts which once made up a "whole" of something can be transformed into beautiful creations all unto themselves. Such a creative spirt moves through you! I adore your creations, I must visit your shop!